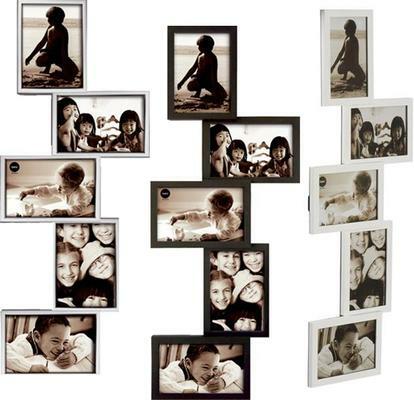 Impress your guests and anyone who enters your home by using this quirky tower multi frame in white. Designed by Balvi, it is brilliantly crafted and can accommodate five of your most treasured images. It's a great way to inject an unexpected touch to your space. Use it in the living room or maybe your bedroom. It can accommodate images in 4 x 6 sizes. The piece also comes in black and silver colours, if you fancy those better.